ROME, Jun 17 2013 (IPS) - World food production in developing regions soared by up to 40 percent over the past decade, yet nearly a billion people continued to live with chronic hunger. 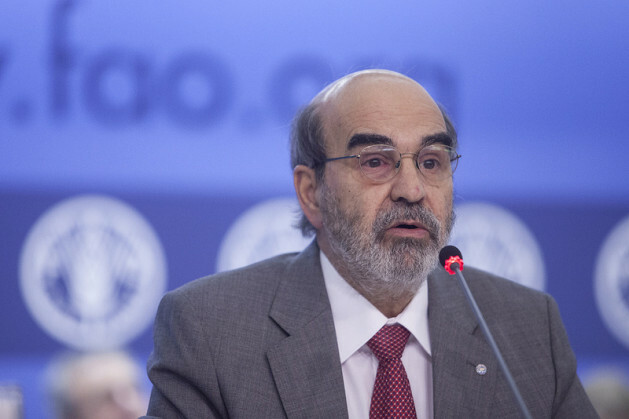 To bridge this gap, there is an urgent need to strengthen the U.N. Food and Agriculture Organisation’s budget, says FAO Director General José Graziano da Silva, addressing an assembly of delegates and heads of state at the 38th session of FAO’s biannual conference. “If we keep looking at hunger from the point of food production alone, the problem will not get solved. We also need to improve the entire system, including the partnership with other stakeholders. It is time for us, therefore, to take the next step, which is improving the budget,” says Da Silva, adding that over the past 20 years, the FAO budget has lost 27 percent of its value. Not all member states concur with the request – especially the largest donor countries. But Da Silva expressed hope that during the course of this week, a consensus will be reached on increasing the budgetary allocation of FAO, thus enabling the U.N. agency to better fight hunger across the world and help increase countries’ ability to ensure food security. “We had a good start over the weekend with an inspiring lecture from Professor Amartya Sen and recognising countries that have met hunger targets. I am hopeful that the week ahead will be a constructive one,” the director general said.